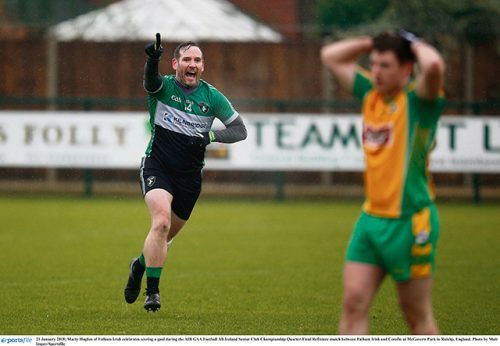 In the three months Greg McCartan and his Fulham Irish charges spent plotting the downfall of Corofin, the Londoners could not have imagined, or wished for, a better start that the one they got at a sodden McGovern Park on Sunday. 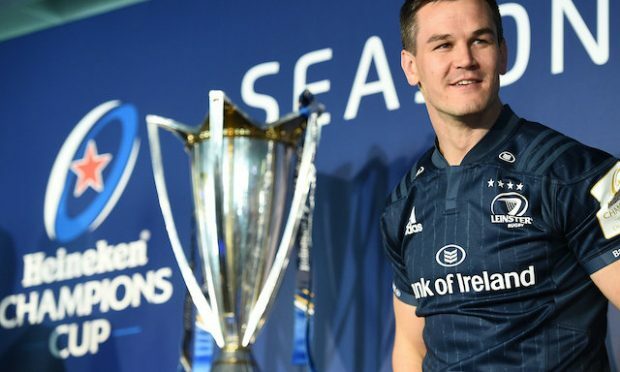 The early morning snow, which must have had some panicking that this fixture was about to suffer a case of Déjà Vu, was still falling when Fulham Irish talisman Owen Mulligan slotted a third minute free to give the home side an early lead. 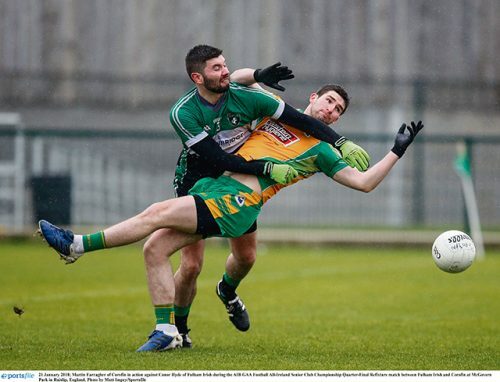 Connor Murphy had already pulled off an excellent block to deny Ian Burke, and rather than the Connacht and Galway champions making a lightening start, as most had predicted, it was the Londoners. It got even better when Bernard Power’s clearance only found Marty Hughes, and the veteran Fulham forward fisted over the head of the stranded Power, and into the empty net. Four minutes gone and one had to take a second glance at the scoreboard just to be sure one’s eyes weren’t playing tricks – Fulham Irish 1-1, Corofin 0-0. Even the most pessimistic amongst the hardy souls who’d braved the snow, rain and cold to huddle in the Tony McGovern Stand, must have wondered if they were about to witness history in the making, after 40 odd years of London’s best falling at this hurdle. Corofin twice fired wide as they looked for a quick response, before some slick play, that was to characterise the Galway side’s performance, saw Gary Sice play in Jason Leonard, who was bundled over. 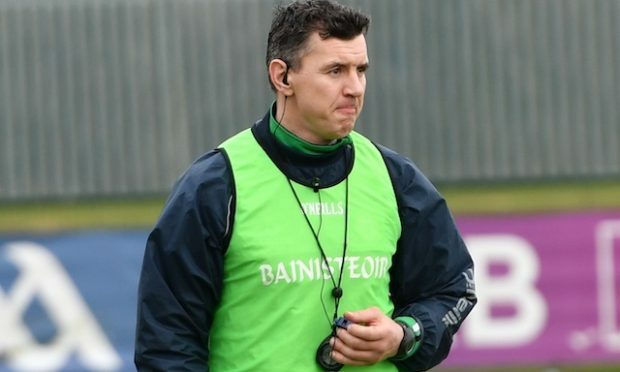 Referee Noel Mooney had no hesitation in awarding a penalty. Liam Silke was coolness personified as he despatched his spot kick past Jonathan Tavey. 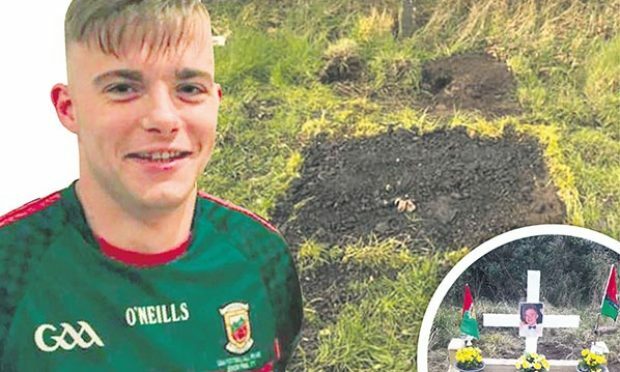 Five minutes was all the time that Corofin had allowed Fulham to dare to dream. Mulligan’s second free was cancelled out by Colin Brady’s strike, with the visitors now in the ascendancy. Fulham’s fitness was being tested by the Galway’s side who treasured possession as they probed for openings, before bursting into life. Their movement, handling and running lines were causing the home side problems, with Fulham chasing yellow shadows at times. One such slick move brought Corofin their second goal, as Burke and Dylan Wall combined and the latter played the ball invitingly across the face of goal for the diving Brady to turn it past the exposed Tavey. Thirteen minutes had elapsed and Corofin were ahead for the first time (2-1 to 1-2). Leonard’s free put a goal between the sides and a Sice free extended it further. Kieran Molloy was nearly in, but for excellent covering by Peter Morgan to snuff out the danger. Michael Murphy produced an outstanding captain’s score to bring Fulham back to within a goal, with two minutes of the first half to go, and had the London champions made it to the break without conceding further they probably would have settled for a three-point deficit. No such luck, as Corofin registered their third goal of the half in the final minute. Breaking from midfield, the Galway champions worked it well between Liam Silke and Brady to create the opening for Burke, and he calmly side-footed the ball past Tavey. It was a killer blow just before the break, and one which allowed Corofin to dictate the second half. Content to left Fulham come on to them, before time and time again crowding them out, the visitors then looked to strike on the break. True, they managed only five scores in the second half, but they didn’t need any more. Corofin had done the hard work in the first half with those three goals, and the second was just about seeing it out. No unnecessary risks was the order of the day. The onus on Fulham, the London champions pushed forwards, but it was Corofin who nearly struck first, as Wall’s shot was tipped on to his crossbar and post by Tavey. The visitors then did break the second half deadlock, as Ronan Steede played a neat give-and-go with Burke before firing over. A minute later, came one of the game’s pivotal moments as Anton McArdle’s ball in found Hughes, who spun on a sixpence before getting away a low shot on the turn which saw Power get down brilliantly to his right to turn it around the post for a 45. It was a truly excellent save. Had it nestled in the net, the gap would have been four points and Fulham would have had renewed hope. As early as the fifth minute of the second half, Fulham’s last chance had gone. The London champions continued to huff and puff, but they couldn’t create the scoring opportunities they needed or exert enough sustained pressure. Liam Staunton landed Fulham’s only point of the second half, via a free, but Steede responded. Leonard could have added goal number four, but leaning back as he shot saw the ball go over the bar instead. Fulham were even denied the consolation of an injury-time goal as a rare lapse in the Corofin defence allowed a harmless ball to somehow find its way through to Peadar Friel, only for Power to again thwart Fulham. 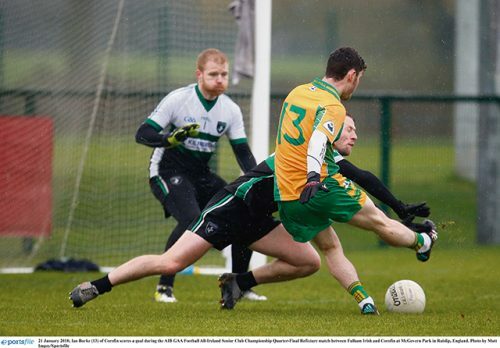 Fulham Irish will now set their sights on retaining the London senior title, while Corofin advance to an All Ireland semi-final against Kildare and Leinster champions Moorefield. COROFIN: Bernard Power; Liam Silke (1-0, Pen), Kieran Fitzgerald, Kevin Murphy; Kieran Molloy, Cathal Silke (0- 1), Dylan Wall; Michael Farragher (0-1), Ronan Steede (0-1); Gary Sice (0-1f), Michael Lundy, Jason Leonard (0-2, 1f); Ian Burke (1-0), Martin Farragher (0-1), Colin Brady (1- 1). Subs: Conor Cunningham for Murphy (17min), Dylan McHugh for Cunningham (28min), Ciaran Brady for Liam Silke (h-t), Barry O’Donovan for Molloy (black card – 42min), Darragh Silke for Colin Brady (51min), Dylan Canney for Leonard (56 min). 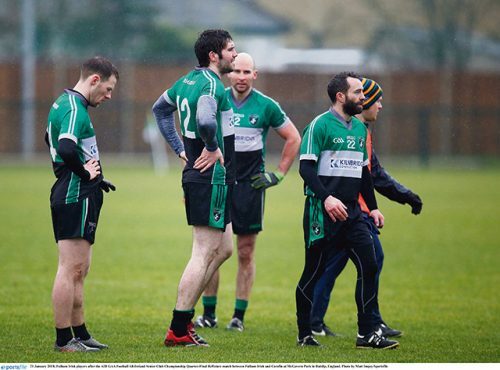 FULHAM IRISH: Jonathan Tavey; Roger Morgan, Conor Hyde, Connor Murphy; John Gilfedder, Hurl Dockry, Aidan Savage; Michael Murphy, David O’Connor; Liam Turley, Owen Mulligan, Anton McArdle; Shea Quinn, Marty Hughes, Brendan Martin. Subs: David Connern for Gilfedder (21min), Liam Staunton for Turley (45min), Ian Nolan for Wall (45min), Peader Friel for Martin (49min), Brian Raftery for Quinn (60min), Alex Kelleher for O’Connor (60+3min).